Parents spend nearly two decades raising their children into adults, but so few are ready to face the truth when adulthood arrives: a child, once cared for and protected by the parent, is now a legal adult. They have all the rights that the parent does, and that includes a right to privacy. Thus, like all other adults, college-aged children need a durable power of attorney. Learn more about the reasons why, and discover how an experienced estate planning lawyer can help you and your adult child get started. The right to privacy as an American adult is Constitutionally protected, but there are also several federal laws that address what information should be considered private, and under what circumstances they can be released. For example, one’s financial information and health information are both protected by law. However, a family member may gain access if they are listed as the person’s durable power of attorney. In emergency situations, having this document in place could mean the difference between treatment and non-treatment – and possibly even life or death. As such, every adult should have health proxy and durable power of attorney. While married people often have a sort of built-in sort of proxy (their spouse), and the decision-making power of a minor automatically goes to a parent or legal guardian, single persons and those in non-marital relationships may be at serious risk if they should ever become incapacitated. Parents are often the most logical choice, but college adults can choose anyone they like. However, parents may want to ensure their student understands the amount of weight a power of attorney may be asked to carry (life and death decisions, critical financial information, etc.). Furthermore, college students are encouraged to name a second power of attorney, just in case the first is either unable or unwilling to serve. The holidays are fast-approaching and many parents heading out for family days with their college-aged children, and that makes now the perfect time to initiate a durable power of attorney for your student. Contact Drost, Gilbert, Andrew & Apiecalla, LLC to get started. We can have forms, information, and details prepared so that you can have them sign during the visit. Schedule a personalized consultation with our Rolling Meadows wills and trusts lawyer to get started. Call 847-934-6000 today. About the Author: Attorney Jay Andrew is a founding partner of Drost, Gilbert, Andrew & Apicella, LLC. 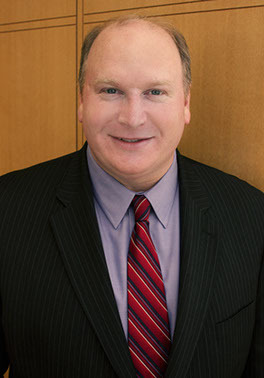 He is a graduate of the University of Dayton School of Law and has been practicing in estate planning, probate, trust administration, real estate law, residential/ commercial leasing, contracts, and civil litigation. Since 2005, Jay has been a Chair of the Mock Trial Committee for the Annual Northwest Suburban Bar Association High School Mock Trial Invitation which serves over 240 local Illinois students each year. Can I Sue a Bar or Restaurant for Drunk Driving Accident Injuries? What Kind of Damages Can I Claim in a Medical Malpractice Lawsuit? What Does Comparative Negligence Mean in a Car Accident Lawsuit?